West Ham completed a double over Liverpool with a 2-0 win in the first game of the New Year to add to their 3-0 win over the Reds at Anfield earlier in the season. It was another miserable day for Liverpool and afterwards manager Jürgen Klopp, like most Liverpool fans, was seething. “Not enough, not enough in the decisive moments,” the Reds boss told the TV cameras. 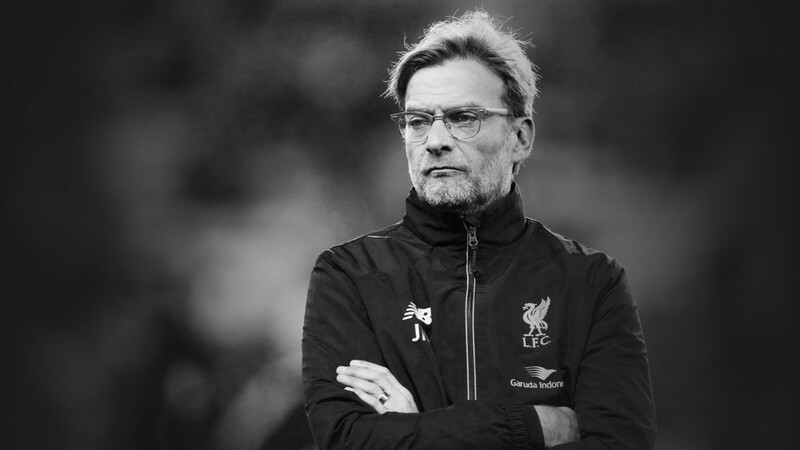 Klopp is not one to hide behind bad luck or questionable refereeing decisions – “that’s football” he usually says – because once an incident has taken place it’s over and it’s time to respond, to react in the right way. It’s a refreshing approach after seeing so many Liverpool sides in recent years drop their heads and as good as give up in the wake of a bit of misfortune. Sadly, Klopp didn’t see that new kind of approach from his players today, particularly for the first goal. “In the decisive moments we have to be there,” Klopp said. “We are responsible for the result and everything that happened today. Alberto Moreno was fouled as he neared the West Ham byline 20 seconds or so before the opening goal. As the Reds full-back rolled around in apparent agony the referee waved play on and West Ham did play on. Liverpool stopped. West Ham scored. Replays showed it was a foul, but the whistle hadn’t gone and the Liverpool players seemed more concerned with why it hadn’t been blown than what was happening around them. Klopp said: “For the first goal, foul or no foul on Alberto, I saw in the eyes of my players they thought it was a foul too but if no whistle we have to defend and we didn’t defend the cross – 1-0. “Second goal we played five against one I think, on the right wing, and don’t win the ball? “That’s not pressing, that’s something.” Depressing? Frustrating? Stupid? “We got the cross, again Andy Carroll made this time the goal – 2-0. It’s not the first time Klopp has seen the response from his side come too late to change the game and with his current squad, a weak squad full of weak players and weakened by injuries, he’ll probably see it a lot more. The squad Klopp inherited, despite the amounts overpaid for some of the players, does not compare well at all to any of the other sides with top four pretensions. Liverpool paid £35m for a player who remains their record signing, Andy Carroll. Brendan Rodgers sold him to his current club, West Ham, for under half that amount having made his mind up he wanted him gone before he had even had one training session with him. Carroll was probably sold for a price nearer his true worth but where does that leave Christian Benteke? Rodgers paid £32.5m – close to the amount Liverpool paid for Carroll – to bring the Belgian forward to the club and so far this season it is difficult to see how he improves on Andy Carroll or what he offers that Carroll doesn’t. As it stands it would be best for both the player and the club if they parted company, even though that will almost certainly mean a huge financial loss for Liverpool. Benteke did score both the winners in Liverpool’s last two wins and there is time, of course, for him to get better, to improve his all round game and his contribution for the whole of the 90 minutes, but the slow progress he is making suggests the time he has won’t be enough. Benteke wasn’t the only Reds player worthy of criticism today but few of those on the pitch should be first choice at a club like Liverpool anyway. Klopp needs new blood. In the meantime he will keep working with what he has in the hope he can squeeze enough out of them to get through the season, but today they did far more than disappoint him. There were times when Liverpool could have got back into it but with just two shots on target all game the West Ham keeper will struggle to think of an easier game he’s had. The Reds had 65% possession but no clue what to do with it. It is another percentage, however, that Klopp was perhaps most cross about – he was angry because his side didn’t put 100% into it. “In each moment in this game we could have come back but we didn’t. We were always a little bit,” he said. “Who wants to see 90 percent? You cannot win a football game with 90 percent, even 95, nobody wants to see this. You have to do everything. “We lost the decisive moments twice. That can happen, I don’t like it, but it can happen. But then you have to use your chance more, with more will than we did today. Liverpool had a penalty appeal turned down but, like the foul on Moreno, right or wrong, it won’t be something Klopp dwells on: “Maybe, I don’t know if was a penalty I didn’t see well enough in the situation with handball and things like this, but, again: 2-0. “That’s what we saw, it’s deserved,” he said. A string of players were missing for Liverpool which limited the ability of Klopp to try something different or freshen things up. But even when those players are fit, few of them are exactly of the standard that Liverpool should be relying on if they are serious about regular Champions League football and title challenges. Liverpool, of course, is a club that should be serious about both – very serious. The transfer window is now open and at a club that has signed some of its best players in January – Luis Suarez, Daniel Sturridge, Philippe Coutinho – Klopp will expect the board to do what needs to be done to deliver some targets. This season may well be write-off given the fact the club chose to start it with a manager who had long since peaked but that’s no reason to wait until the summer. There’s money in the bank – or should be – and an obvious need to do something useful with it. If Ian Ayre and his colleagues fail to do so they can expect Klopp’s anger – and that of the fans – to turn to them. As Klopp says – who wants to see 90 percent? The time for being disappointed has long since passed. Get rid of them and get some finishers!!! FSG will never take any important action in response to fan anger, no matter how loud it is. It sets bad precedent and is simply not the way they operate. They take action deliberately and swiftly after careful and lengthy consideration. Fume all you want in blogs, podcasts, and social media, but trying to communicate with the Club and with FSG in a more refined and dignified way is what will actually make them take seriously what you have to say.